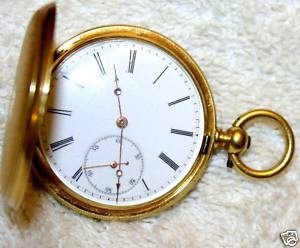 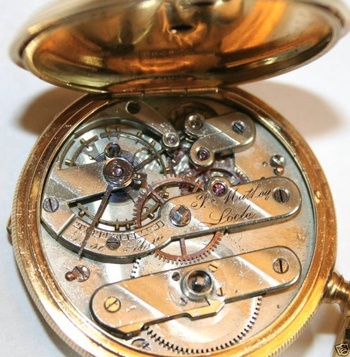 18KT high grade Pocket Watch This Pocket Watch is hand made look at the workmanship on this 1800's Watch!! 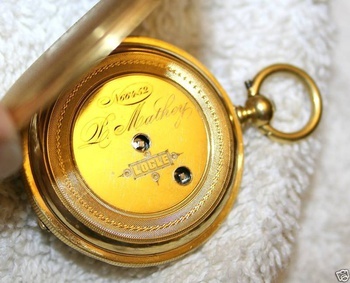 filmnet, look at pictures on my user's name top inside cover of watch hall marks are their. 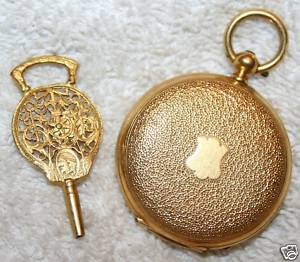 Beautiful pocket watch and key!